IMPORTANT NOTE: My interview with Parkinson’s Blog Talk Radio will not take place on Wednesday, March 9th at 6:00 PM EST. The host of the program, Robert Rodgers, is hosting a Parkinson’s Summit in Vancouver, WA this week. This past weekend, prior to leaving for the Summit, Robert went to pre-program the Blog Talk Radio site so he could air the interview while in Vancouver. Unfortunately, he experienced technical difficulties and was unable to make this happen. He explained that upon his return, he will correct the technical difficulties and let me know when the interview will take place. At that point, I will let you know. In responding to a number of you via email about pain, I made a point that I would like to share will everybody. Usually, I focus on pain as the “good” pain one experiences when toxins are being cleansed from the body. Today, I want to focus on pain from a different perspective…actually feeling pain and its relationship to the body’s electrical impulses. Feeling pain means you are feeling something. 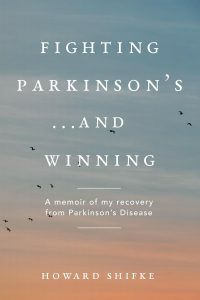 In a non-Parkinson’s sufferer, I believe the thought process is like this: “I feel okay, and when I feel pain, then something is wrong.” I learned, as a Parkinson’s sufferer, that the thought process had taken on a whole new life: “There are areas where I feel nothing, but I know that something is wrong with me. When I feel pain, at least I know the electrical impulses are alive and going to the area where I have been feeling nothing.” Much to many of your regret, I also see this as “good” pain. It means that the electrical impulses are alive and prepared to carry the messages. That is very good news, albeit in some cases, painfully good news. My most overwhelming experience with this was the morning I felt horrible pain in my left side. My initial panic was that the Parkinson’s was getting worse. Once I settled down, I remembered years ago I had pulled a muscle doing side bends, and this pain was remarkably similar to that pain. The pain disappeared after one day, telling me that although my nerves were working, they were not getting messages on a regular basis. Clearly, I knew a pulled muscle of that caliber did not go away after one day, so I was mindful of the pulled muscle and did an abbreviated bend to the right side when doing the Medical Qigong for Liver even though I felt nothing once again. This experience re-enforced my faith that recovery could be achieved. Why? Because without my dopamine flowing a little, I would have continued to feel nothing, and now I felt something. However, a little dopamine was not enough and I needed to get more of a flow. So, I circle back around to the importance of the Adrenaline-Dopamine relationship, and the fact that I did the Adrenaline-Dopamine prayer/meditation every day for a few weeks leading up to my recovery. Click Here to read it again. This entry was posted in Fighting Parkinson's Drug Free and tagged and the body’s electricity, fighting parkinson’s. Bookmark the permalink.